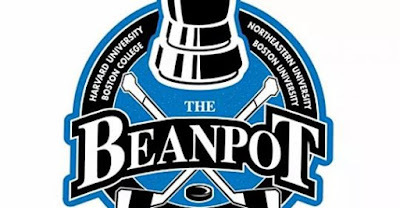 Terriers will look to snap a four-game losing streak in this afternoon’s Beanpot consolation game at TD Garden. Puck drop is at 4:30 p.m. Since its 2-2 tie with BU a month ago, Harvard has won five of its last six, dropping only its Beanpot game with BC, 2-1. The Crimson is led by defenseman Adam Fox with 31 points, forward Adam Dornbach with 24 and d-man Reilly Walsh with 21. Their power play is the best in Division 1, clicking at a 36 percent rate. BU will again be without senior center Bobo Carpenter, injured against Arizona State. Coach Albie O’Connell told WTBU Sports that Carpenter could be out another week. Joel Farabee, who leads BU in points with 25, is tied with Carpenter and Shane Bowers with 10 goals each. 2020 recruit Luke Tuch scored Team USA's only goal as the NTDP U17s dropped the final game of the Five Nations Tournament to Sweden, 4-1. Drew Commesso, who stopped 15 of 19 shots and had two shutouts in the tournament, was named Best Goaltender of the tournament. Charlie McAvoy assisted on a goal in the Bruins’ 2-1 overtime win against Colorado. The former BU All-American also made his presence felt to several Avs including Matt Nieto. The Terriers, who will face Harvard on Tuesday in the Beanpot Final, extended their unbeaten streak to ten games with a 7-1 win against Holy Cross.